I usually wake up on Saturday morning and read, “How to Spend It” a magazine that comes with the Financial Times. Besides an obvious, over the top embarrassing shoe obsession – I love watches and cars. I can sit for an hour or two and read about the latest styles of each. This week their was an article about scotch perfume that caught my eye. It talks about not only tasting scotch, but how important the unique smell contributes to each flavor profile. It’s fascinating. In the mood to create something on the lighter side, I pulled down a bunch of spices from my cabinet and infused a few together: basil, cardamom, and jasmine. The combination is soft, refreshing, excitiing and full intrigue. I named this cocktail “Encounter”. I hope it is an encounter that fufills an experience, an exchange of seductive emotion, with a lingering hint of mystery. Add all ingredients except champagne into a shaker with ice. Shake well. Fine strain into a rocks glass over a block of ice. Top with a champagne floater. 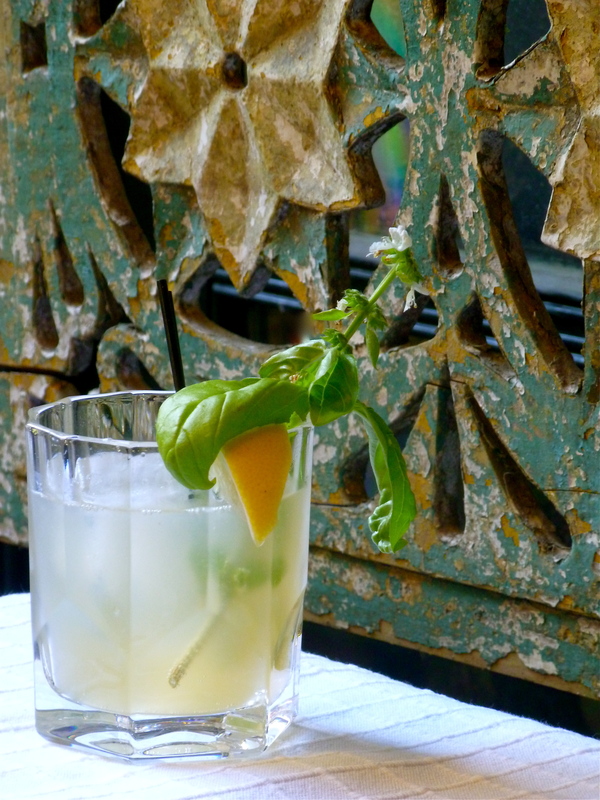 Garnish with basil and grapefruit wedge. Bring sugar and water to a boil in a small saucepan. Add cardamom, jasmine, and chopped basil. Let boil for one minute. Reduce heat and let summer for ten minutes. Fine strain syrup into an airtight container.